I am working on this post as I post it and it will be constantly updated. Please act ASAP! We want to get this blasted all over the world in the next 3 days. Every US Person abroad needs to put the same pressure on their own governments TO STOP THESE EXCHANGES FROM TAKING PLACE as all Model 1 IGA’s require turnover of information by September 30. Each government has TO ACTUALLY REQUEST THIS EXTENSION FROM THE IRS, so members need to take responsibility for making sure their respective tax authority/government does so. A widget on this post will show any tweets using the hashtag #StopFatca so all can see which countries the message is being spread from. 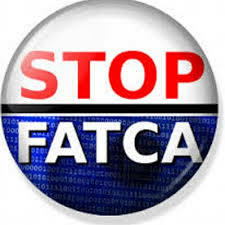 Please use this hashtag: #StopFatca. Please,if you already have followers who are not expats but may be sympathetic, share other political issues, please send them the tweet directly with the RT; don’t assume they will see it in their feed just because they follow you. Creating a network with other users is important in order to utilyze social media to the max.